Credit: Karen Echeverri, University of Minnesota. One of the most vexing problems with spinal cord injuries is that the human body does not rebuild nerves once they have been damaged. Other animals, on the other hand, seem to have no problem repairing broken neurons. A new study takes a comparative approach to pinpoint what happens differently in humans versus other animals to explain why they can successfully regenerate neurons while we instead form scar tissue. By learning from the similarities and differences, researchers hope to find new leads in the treatment of spinal cord injury. "Humans have very limited capacity for regeneration, while other species like salamanders have the remarkable ability to functionally regenerate limbs, heart tissue and even the spinal cord after injury," said lead researcher Karen Echeverri, PhD, assistant professor in the department of genetics, cell biology and development at the University of Minnesota. "We have discovered that despite this difference in response to injury, these animals share many of the same genes with humans. This knowledge could be used to design new therapeutic targets for treating spinal cord injury or other neurodegenerative diseases." Echeverri will present the research at the American Association of Anatomists annual meeting during the 2018 Experimental Biology meeting, held April 21-25 in San Diego. Echeverri and her colleagues study an amphibian known as the axolotl or Mexican salamander. Native to lakes near Mexico City, the axolotl has become endangered in the wild as human activities have encroached on its habitat. 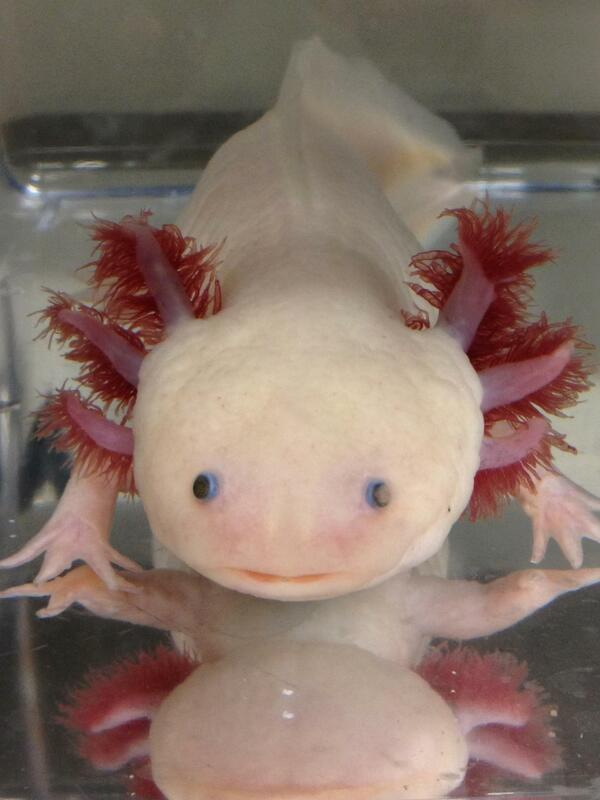 Captive-bred axolotls are frequently used in biological research, both to learn from the animal's remarkable ability to regenerate body parts and to help inform conservation efforts. When an axolotl suffers a spinal cord injury, nearby cells called glial cells kick into high gear, proliferating rapidly and repositioning themselves to rebuild the connections between nerves and reconnect the injured spinal cord. By contrast, when a human suffers a spinal cord injury, the glial cells form scar tissue, which blocks nerves from ever reconnecting with each other. Echeverri's team traced the molecular mechanisms at work in each case. They found a particular protein called c-Fos, which affects gene expression, is essential to the processes axolotls use to repair injured nerves. While humans also have c-Fos, in humans the protein functions in concert with other proteins, in the JUN family, that cause cells to undergo reactive gliosis, which leads to scar formation. In axolotls, this molecular circuitry is carefully regulated to direct axolotl glial cells toward a regenerative response instead. "Our approach allows us to identify not just the mechanisms necessary to drive regeneration in salamanders but what is happening differently in humans in reposes to injury," said Echeverri, adding that the work has implications for other types of injury, as well. "In addition to spinal cord regeneration, our work also focuses on other forms of regeneration including scar-free wound healing and limb regeneration." Karen Echeverri will present this research on Sunday, April 22, from 3-3:30 p.m. in Room 11B, San Diego Convention Center (abstract). Contact the media team for more information or to obtain a free press pass to attend the meeting. Find more news briefs and tipsheets at: https://www.eurekalert.org/meetings/eb/2018/newsroom.